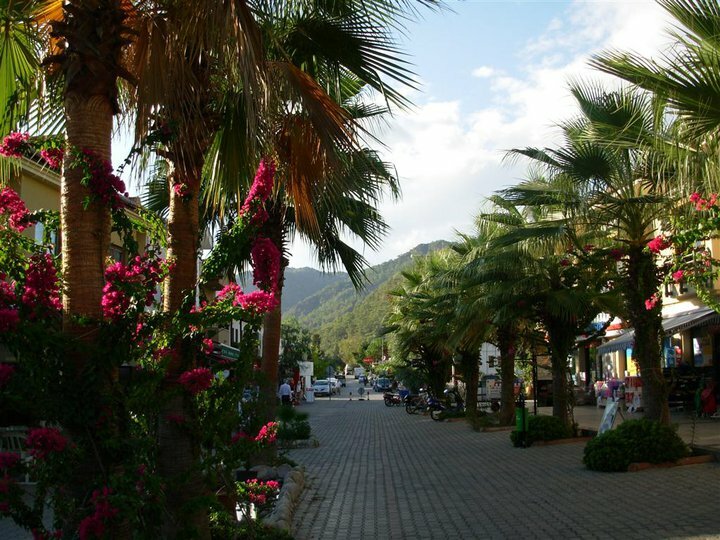 Dalyan is a small resort town in the southwest of Turkey on the Mediterranean coast, between Fethiye and Marmaris. This is actually where Mediterranean and Aegean Seas meet. It has quite an authentic vibe and is a good place to stay to discover the wonders of the region. Dalaman Airport is some 28 km away, so not far at all. And there are regular flights from Istanbul Atatürk and Sabiha Gökçen, Ankara Esenboğa, Adana and from many destinations abroad. Some of these international flights are year-round and some are only in the high tourist season. As I live on the Asian side of Istanbul, I often fly from Sabiha Gökçen Airport and that is where you mostly find the lower cost flights. Our morning flight was on time and we arrived at Dalaman Airport in under an hour. When the plane was descending I could see the amazing mountains, lakes, bays and beaches of Mugla region. I had a private airport transfer booked online. So they picked me up at Dalaman and dropped me off at my hotel near Dalyan town center. This was in October but the weather was beautiful. I don’t love heading south when it is very hot, in the middle of summer, when the humidity in Istanbul is already hard to deal with. I was going to spend two nights in a boutique hotel and with a small change of plans, I moved to a one bedroom in an aparthotel nearby. 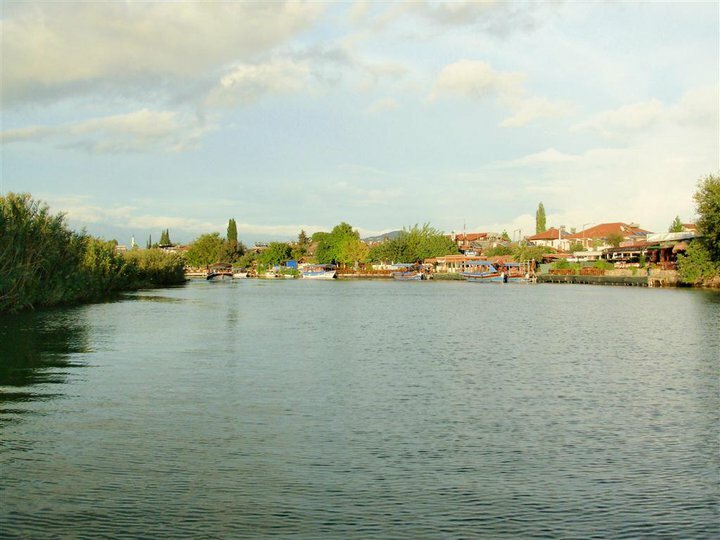 Dalyan has an interesting location, not by the sea but a river that connects Koycegiz Lake and Iztuzu Beach on the Mediterranean Sea. It has a winter population of around eight thousand, so it is not that small. The town center is on the right side of the river and you’ll find lots of restaurants, hotels, pensions and shops along the river or nearby. There are more than 100 hotels and lodgings and almost 30 restaurants in town. You’ll also find some travel agencies that sell different themed tours in the region. 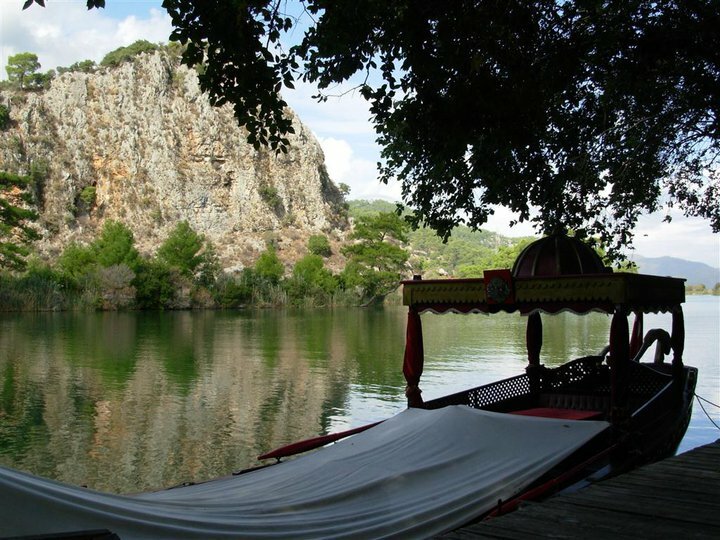 Dalyan is close to the middle of the Köyceğiz Lake and Iztuzu Beach, but it is closer to the lake. So to get to the beach, you need to take a boat (public transport) that also makes a nice tour along the river. You’ll get to see the ancient rock tombs, reeds, cliffs and lush nature all the way to İztuzu Beach. Dalyan means “fishing weir” in Turkish and the fish like mullet, perch, and bream floating from the sea to the lake are caught by the fishing nets, either when they’re heading to the lake or on their way back to the sea. There are many fields in this area and the soil is very fertile. They used to grow cotton here, now it is more pomegranate (pomegranate juice is very common in Turkey). You’ll see many citrus fruit trees around here and there is also veggie farming. You can see some Lycian tombs from circa 400 B.C. carved from rocks tombs along the river. The reason for this trip was to relax a bit and see different places. I wasn’t looking at it as a place to live as it would be too small and quiet for me, especially during winter. I was curious about Göcek and 12 Islands and I was hoping to go on a daily boat tour if the time and weather allowed. 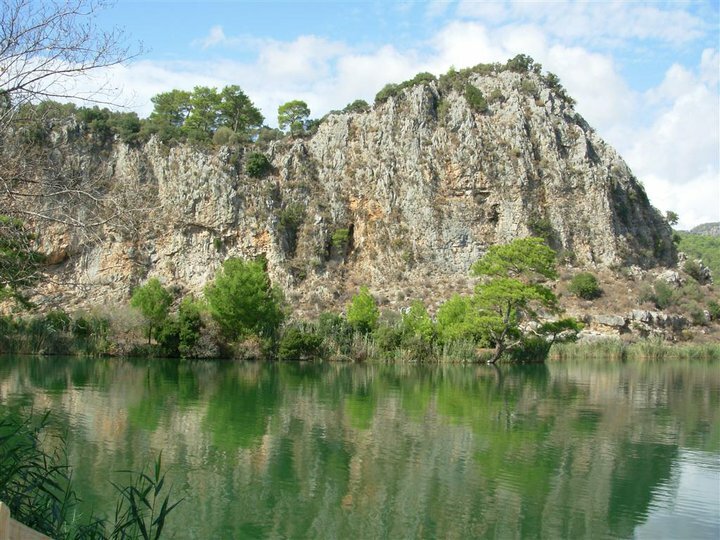 The weather is temperate all year in Dalyan and this means you can visit it easily in summer, autumn, winter and spring. As I mentioned earlier, the weather was really nice for walking, with temperatures around 26-27 degrees Celcius during the day. But because it can be much windier when you’re in the sea, it is best to do the boat trips in the summer months, between June and September. And the best time to visit Dalyan is probably in June and July which is the laying period for the very well-known Caretta Caretta tortoises. It is very lively in town and on the beach, which is great but the hotel accommodation will be harder to find with room rates higher than the rest of the year. 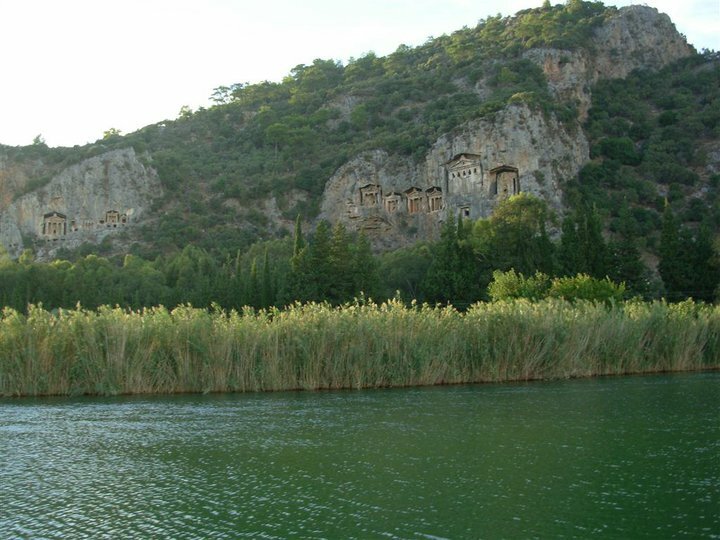 Dalyan is situated on a very green plain with mountains covered with pine tree forests on both sides. So it is all quite picture perfect here, the relaxing atmosphere and the stunning landscapes are really attractive. 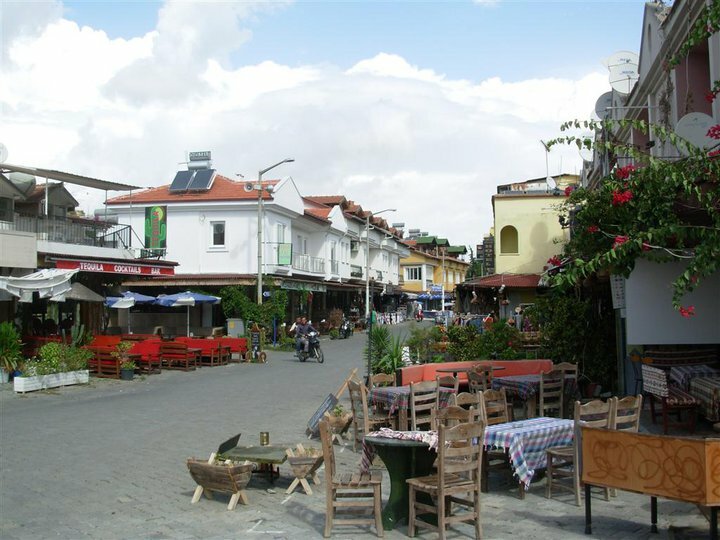 Dalyan has not been affected by mass tourism that had a negative impact on many other resorts in Turkey, partly because it is about ten kilometers from the main road, and partly because it is not by the sea. Having said that the property prices are not cheap here, as compared to the rest of Turkey. Average square meter price is close to that of Istanbul average. Besides resting, eating and drinking and walking around town and river, I took a boat down the river to İztuzu Beach on my first day. And on my second day, there was the boat trip to Göcek, but that didn’t go as planned due to minor problems, which I’ll talk about in a bit. How to Get to Iztuzu Beach? 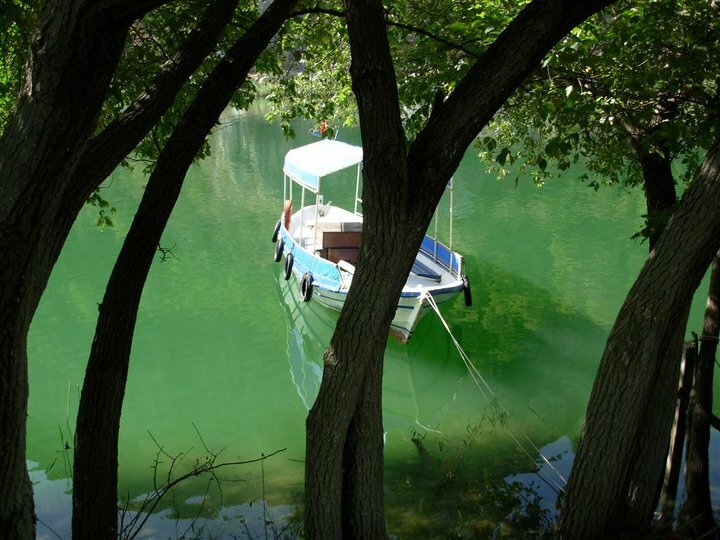 You have two choices for getting to Iztuzu from Dalyan: Boat or minibus. There are no schedules for the boat departures, as they will depart as soon as they have enough people on board. And if you are staying on one of the hotels along the river, you can actually make a request to be picked up on the road by calling one of the agencies here. And the boats depart between 1 pm after lunch and 6 pm in the evening. The boat tickets are all for round-trip and you need to make sure you do not lose your tickets. 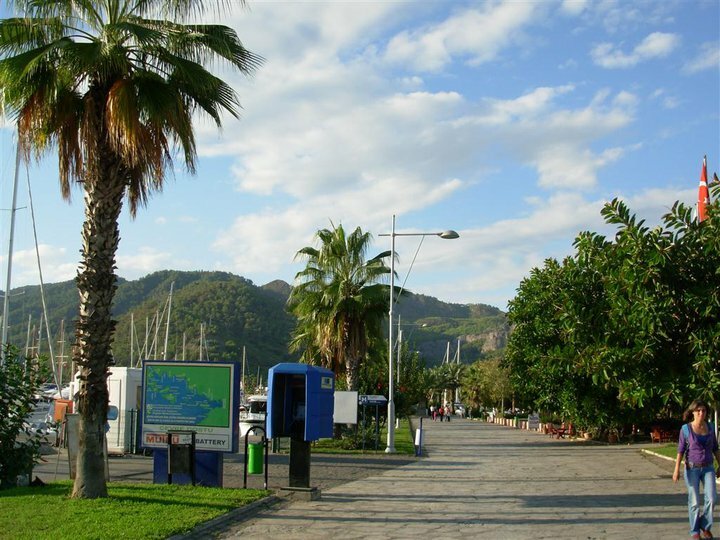 The second option is to take the bus from near Dalyan Post Office for a journey that takes about twenty minutes. There are also very pleasant views on the road as the minibus goes around Lake Sulungur and passes via the lush forests. İztuzu Beach is roughly 4.5 kilometers long and the sand has a golden yellow color. 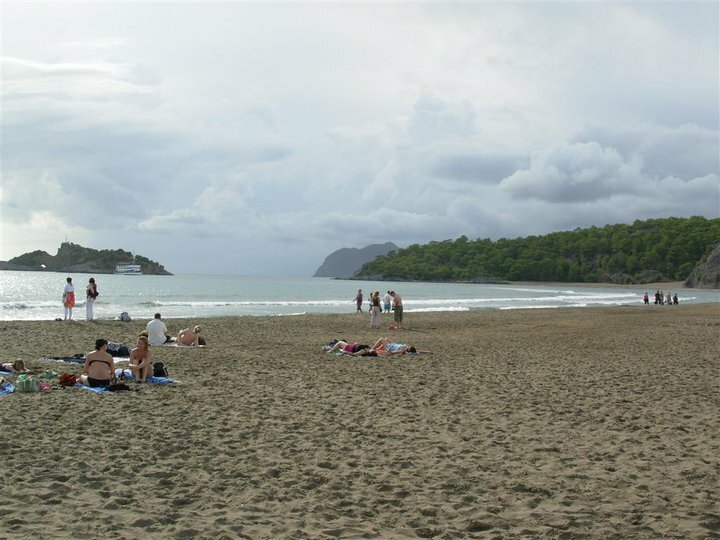 The most important feature of this beach is that you have the salt water on one side and freshwater on the other side. The sea does not get deep immediately even if you go 40 to 50 meters it will not be above your neck. So you can enjoy the beautiful water even if you don’t know how to swim, as long as you have people with you. The Caretta Caretta lay their eggs on the beach at night and you will see quite a few people swimming and sun baking during the day in summer. You can also swim in the fresh water on the lake side if you don’t fancy the salty water of Mediterranean. And further down the beach and inland, there is a lake but it is known to be a light swamp, so it is forbidden to swim in there. The weather was cloudy when I was on the beach, and I wasn’t planning to swim anyway. I walked for four hours on the beach and took a few photos. The scenery is really beautiful here, especially where there are puddles towards the end. The next day I had a booking for the Gocek boat tour, but I could not go to the tour with a very bad setback- the travel agency mixed up the name of my hotel. They waited for a while in front of another hotel with a very similar name, and I waited in front of my hotel for a while, and they left without taking me. It was a really bad situation, also because the weather was very nice, and as a small compensation, I was offered to be taken to Marmaris with a friend of that agency. 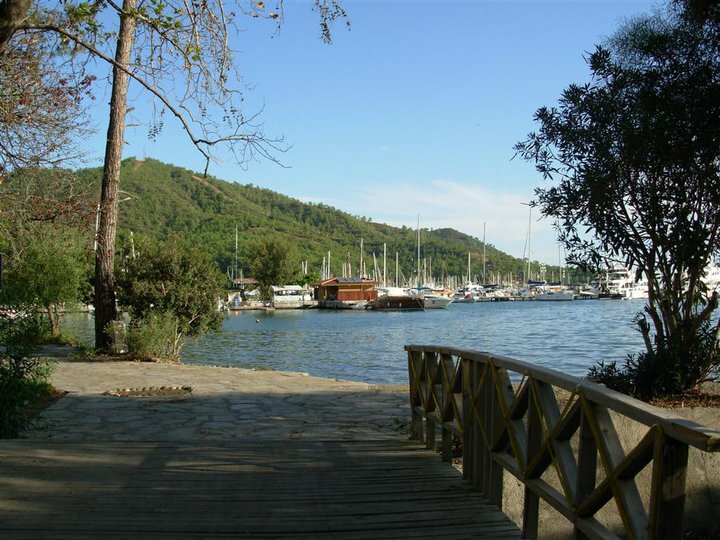 From there I returned to Göcek by public transport, thinking that I could check out the town and the marina a bit. I am thinking of getting down there and doing this tour this summer for sure and I will update the post with details. But from what I see on travel blogs and videos, it is supposed to be one of the best boat tours you can do in Turkey. 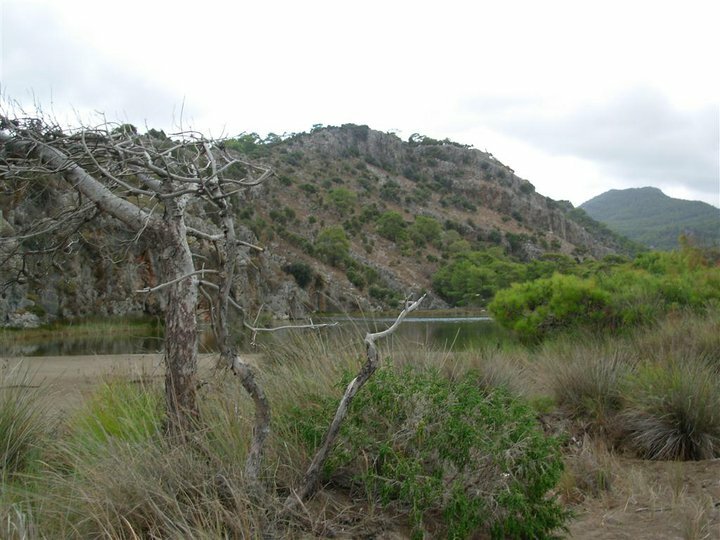 You get to beautiful bays with aquarium-like waters and very lush nature. They say that one day is not enough for these because there are so many islands and bays to see. So private boat may be a better choice if you can afford it. 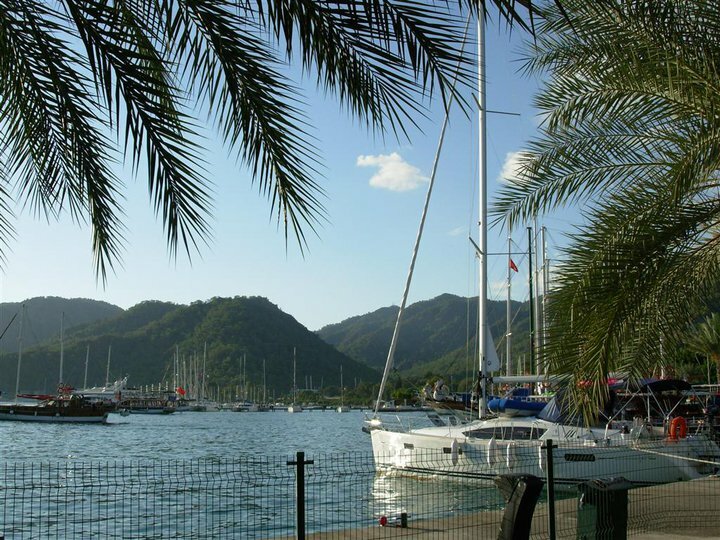 Göcek is a small town with a total of six marinas and is a very important spot for yacht tourism in the Mediterranean. And it is a beautiful resort that is situated in a large bay with many islands. 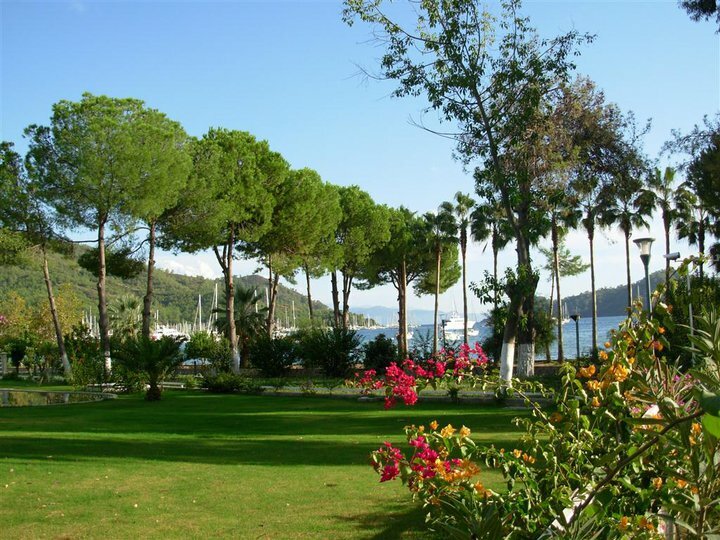 Göcek has a premium and upper-class feel to it, with more expensive hotels, beautiful houses, and yachts. So it feels wealthy around here and it costs more to stay here than Dalyan and Fethiye. There are a nice shopping street, restaurant and supermarkets and shops selling tourist stuff. 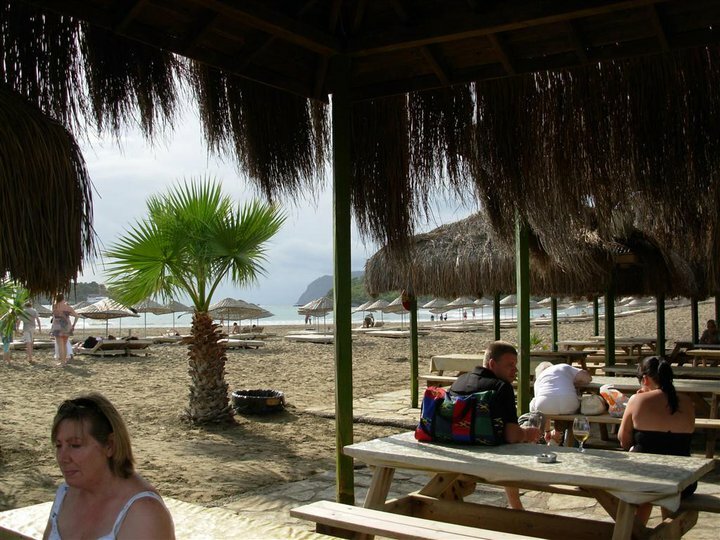 I spent a couple of hours here and had something to eat before returning to Dalyan. 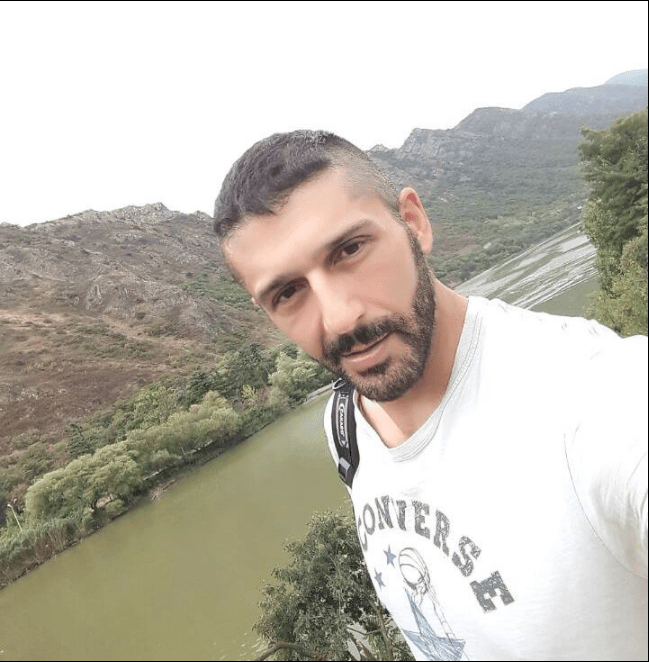 It was already the quieter time of the year and after eating and going for a walk along the river, I went to bed early so that I can wake up early enough in the morning to take my bus to İzmir where I have family, to stay with them for a few days before I return to İzmir. I felt quite positive about the area and the few days I spent there. Each time I go somewhere new in Turkey, I admire the beauty of the landscapes and the variety of things to see and do. My experience with many other countries is each country has its beautiful spots but you sometimes drive for 10-15 hours and the scenery still doesn’t change, and the roads are often the same. At the end of that trip, you find something beautiful. This applies to many countries, but here you see the changes every 50km or so. Muğla Province is one of my favorite places in Turkey and the world. But even on a short drive, you’re likely to see plenty of this geographical diversity, within the province alone. As I headed out of this Dalyan and Marmaris area and headed north to Aydin and Izmir Provinces, I saw many different mountains, hills, forests, different kinds of trees and landscapes. And about this trip, I would strongly recommend staying in Dalyan and exploring the surroundings. Next story What’s Uskudar- the Asian Side of Istanbul Like?